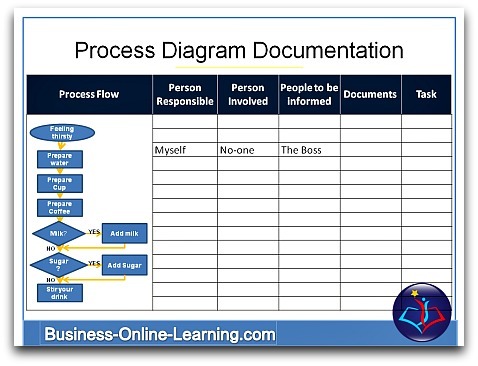 To lay down the groundwork for Business Process Diagrams, clear templates must be defined. This has the advantage of getting everyone to speak the same language. Much conflict arises from people having different understanding. Having clear frameworks and wordings will help into the transition of good process management: Diagrams that everyone can read with one glance! There are worldwide efforts now ongoing to standardize these symbols for the Diagrams, but here are the main ones. 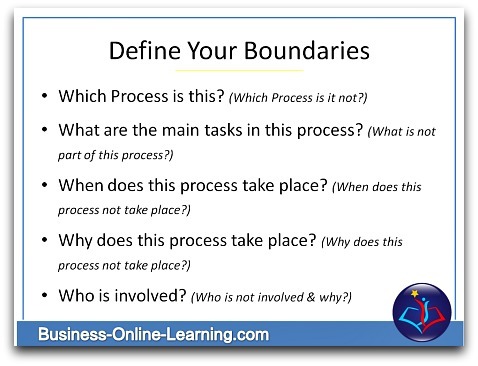 Defining exactly where you are at with your Process is the first and most crucial definition. I particularly like the following questions in order to get a clear picture of where I am going. Ensure that there is one natural flow in your diagrams from start to finish. Ensure that work flows in a loop until it reaches “the end” or “Stop”. The worst diagrams are those with many, many diversions that lead nowhere. You can imagine how effective that process is! There can only be one starting point in your diagrams. Where a process seems to start with several inputs, use the collection of those inputs to be your starting point. 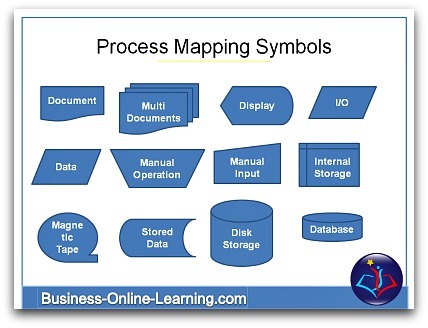 All else belongs in a process prior to the one you are describing in your Diagram. There can be only one final point in the diagrams of your process. Describe each task with a Verb + a Noun. For example: "Define Task", "Download Specification", "Sign-off Document". When you are mapping out your process, further benefit can be had from defining per step, additional aspects. These can include the documents needed, the location, the timing. It goes without saying that you should provide a good description of the task for each step. This can be expanded to include a target or aim for that step. It means that before the next step can take place this aim must have been met. Last, but not least, each task must have the responsibilities marked out. Please name the person responsible (there can only be one), the people who are needed to support and then as a third group, those who should be informed that this task is taking place. 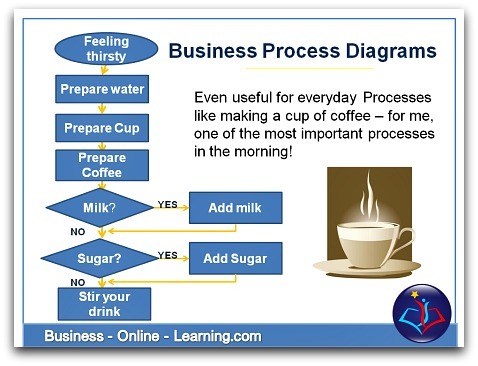 Remember, less is more in your Business Process Diagrams. Be clear and write little but concisely.